Time is fleeting so super quick, here is the French version, just the month cards. My German friend Tina is working on her version of a tutorial she saw online. She promises me she will share it when she is done. 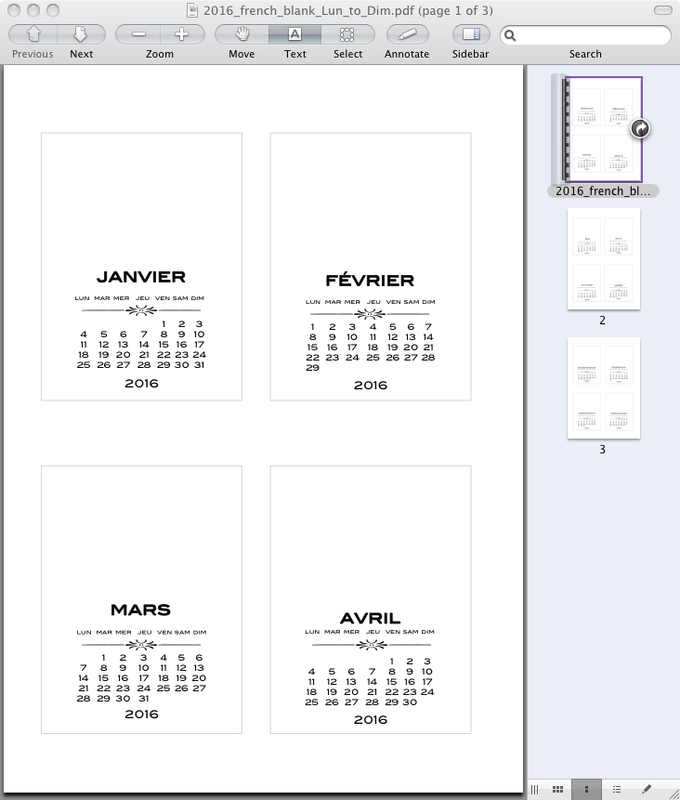 I think ANY of these blank calendars, in any language, would work well, having seen a preview. Likewise, the ideas I showed for decorating in the post here would work too. Next week is going to be CRAZY. With luck I can squeak in the pretty CD calendars, in Sweetheart Script, but if not, the week after for sure. Categories: calendars, French | Tags: calendars | Permalink.